The design for the Courtyard converts the formal open space into an urban garden, redeveloped to open up the entire site to the public. 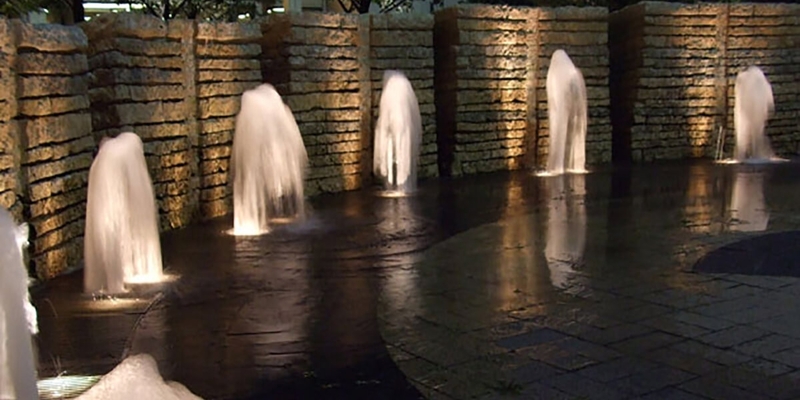 The fountain sits inside an “urban forest” of American Elm with a misting water system and spray jets creating a soft, playful quality of water and sound. 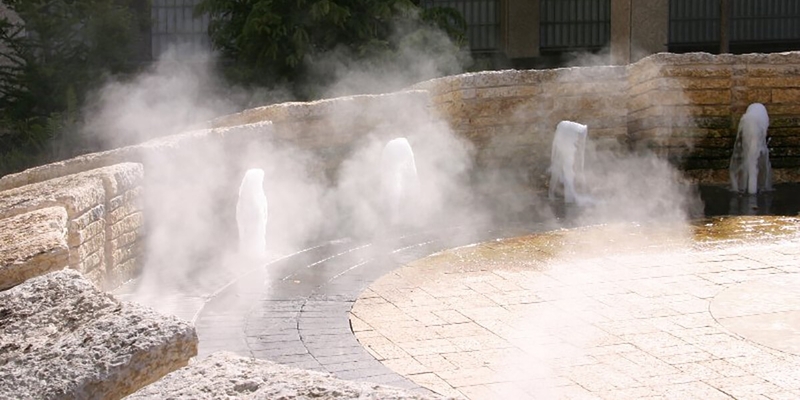 The fog component of the fountain represents the spirit of all those City workers that have died while serving the citizens of Winnipeg. 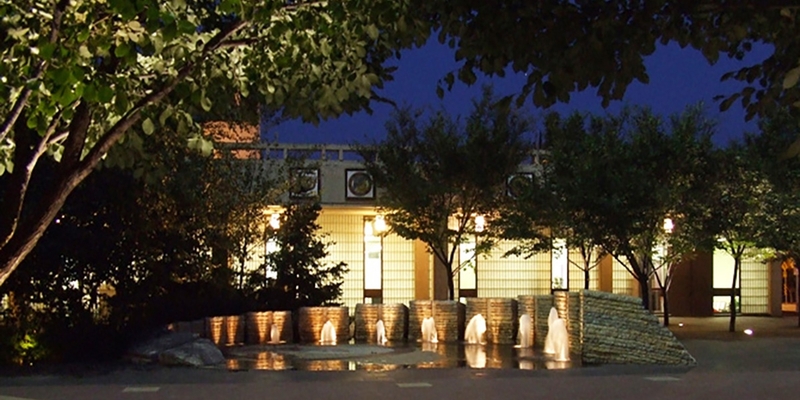 At the front of the council building, the existing stairs have been reconfigured into a small accessible stage area (when needed) for public presentations or performances. 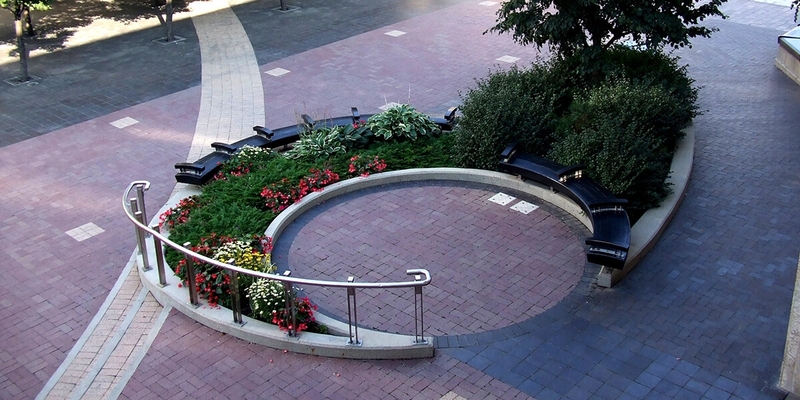 Permanent seating and garden planters where created with recycled granite from the old courtyard. Within the Courtyard a small diorama of Manitoba has been designed - a small piece of boreal forest with plantings reminiscent of our north, including tamarack and Labrador tea. 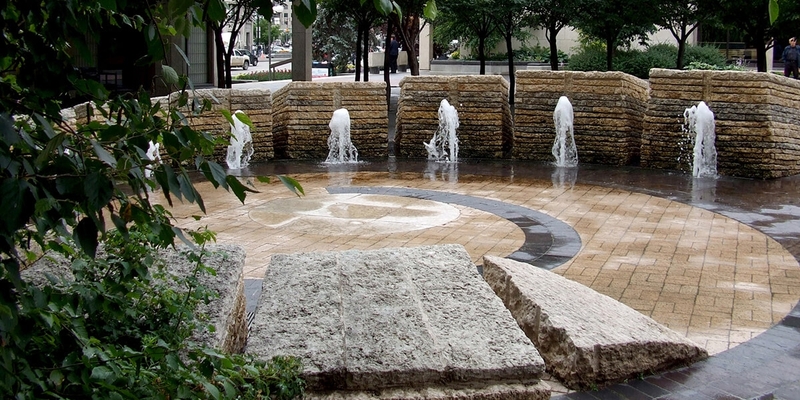 The limestone blocks were chosen for their unique display of gastropod fossils (fossilized pre-historic shelled animal) found in locally quarried limestone deposits. 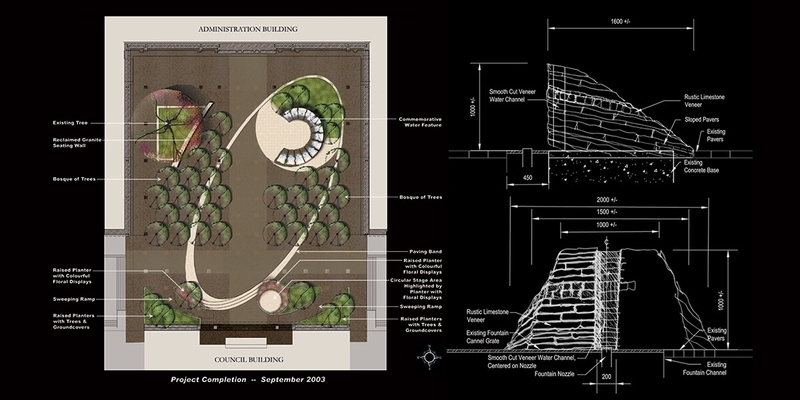 Future elements of the City Hall master plan include the creation of a new restaurant inside the Administration Building that will spill into the courtyard with temporary tables and chairs situated amongst the trees.